Picking the perfect gift for a friend, family member, or loved one can be a challenging task. However, if that person is a golfer, you are in luck. There is a multitude of gifts for golfers on the market and here are a collection of gifts golfers are sure to love. The golf gift you choose will largely depend on the amount you want to spend. The good news is, there are very inexpensive options available like balls and books, all the way up to high-end gifts like equipment and technology. All that’s required on your part is to decide how much you want to spend and then look for a gift in that price range. Here are some ideas to get you headed in the right direction. Of course, a golfer is always in need of a set of golf balls and Titleist Pro V1 balls are considered amongst the best available. These balls are known being softer which can help a player’s golf game by giving him or her more control and more short game spin. Tees, although an important part of golf, are more of a personal preference. You can pick a set in your gift recipient’s favorite color or another theme associated with their personality. These have a habit of going missing, so any golfer will be happy to get a fresh supply. See our list of the best golf balls for beginners here. An 18-hole round of golf can often take up to four hours to complete. During this time, golfers will spend a lot of time on their feet and while the proper golfing shoes are important, having the right socks is also something to consider. Stance socks not only provide all the comfort you will ever need, but they also pay homage to perhaps one of the greatest golfing films ever, Caddyshack. Furthermore, they include a cuff that self-adjusts, a padded and reinforced heel and toe which cushion the foot while remaining extremely durable, and an elastic arch to ensure a golfer’s feet will remain fresh and pain-free at the end of a long round. Your golfing loved one will thank you for years to come and they will look good out on the course. First rate book by a first class golfer. 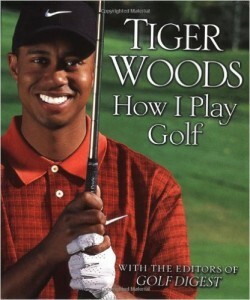 Tiger Woods is the reason why I love golf, so of course I had to buy this book. It has become my bible. Highly recommend for any golfer. Although injuries have led to Tiger struggling in recent years, he is, without a doubt, one of the greatest golfers of all time. In his prime, Woods dominated golf courses around the world and had a legion of fans. Why not give the golfer in your life lessons from one of the greatest? Consider his book which shares his secrets about how he plays. This book is intended to help any golfer improve their game, no matter what their handicap. It covers all aspects out on the course, from driving to approach play, as well as chipping and of course, putting. Not only does Woods offer excellent advice, but he shares practical exercises that can be used to improve one’s golf game. Golf gloves are a relatively inexpensive gift and a piece of equipment needed by all golfers. Gloves by G Fore come in a variety of colors and deliver unprecedented comfort while remaining at the forefront of current golfing style trends. These gloves are precision cut, ensuring a comfortable fit, and excellent quality. A number of pros on the PGA and European Tour wear G Fore, including Ricky Bards, Alex Cejka, and Robert Rock. Your golfing friend will be reminded of you every time they pull out their stylish glove that helps to comfortably protect their hand. 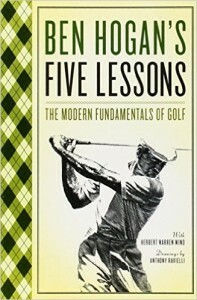 The best golf advice I’ve ever received was, “read this book.” Hogan’s lessons are timeless. They are delivered easily enough for any rookie or old-timer to utilize on every stroke. Each lesson builds on the previous one so that on each approach, you’ll find yourself quickly going through each one. Read this book…it’s way better than listening to “you lifted your head” for the rest of your life. Acknowledged as one of the greatest players to have ever played the game, Ben Hogan is also remembered for his incredible ball striking as well as an in-depth knowledge of swing theory. This book is considered a “must-have” by many golfers, and it is easy to see why as it has over 1 million copies in print. The Modern Fundamentals of Golf will help to improve any golfer’s game. It does this by highlighting a number of critical areas a golfer should focus on. Not only does the book contain relevant theory, but illustrations help to backup all points. Any dedicated golfer will be thankful to get their hands on the tips in this book. Although not often thought of or considered as a gift, a golfing lesson is a great idea for that golfer in your life, especially if they have just started out in the sport. Lessons come in a range of different options, including those at a golf course with the resident pro, lessons from PGA pros, or even a lesson at your local driving range. Gifting a lesson is a great gift that keeps on giving. The golfer in your life can learn something new, focus on improving a particular part of their game, and gain knowledge to become a better overall golfer. Many golfers are making use of modern technology to help improve their game. One such gadget often utilized is a laser rangefinder. This can be used to find the exact range left to the pin after a tee shot. It is imperative in helping to make sure the golfer selects the best club to get them close to the pin and in that way, ensures better scores. Not every golfer loves gadgets though, with many wanting a more traditional approach to golf. When deciding on whether a rangefinder will be a great gift option, consider how much of a techie your gift recipient is. If they have all the latest gadgets, chances are, this will be the perfect gift-if they don’t have one already! See our buying guide on golf rangefinders. If an additional device in a golf bag seems extreme, there are other ways to determine distances on a golf course. One such option is a specialized GPS golf watch. Over and above the regular features of a modern watch, it uses GPS positioning to determine distances on a golf course, specifically to the front, center, and the rear of all greens. In fact, these watches can often be programmed to include a range of golf courses. Many of these include other helpful tools too such as pedometers, odometers, and calorie tracking. See the top 5 for 2016 above. Indoor putting greens are a great gift for any golfer. Much of a golfer’s success out on the course revolves around putting and an indoor green is a simple, yet effective, way to allow someone to practice this crucial part of their golf game. Putting greens come in a number of different configurations, from smaller flat versions with a straight away to large intricate ones with different slope variations. These greens are incredibly easy to setup and lightweight, which makes them easy to take to the office or to move around the home. Golf lovers will appreciate this gift which brings their hobby into their home. 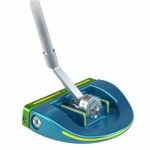 See our buying guide on indoor putting tools. The other important aspect of any golfer’s game is their swing. Up until a few years ago, in order to practice correctly, golfers would have to take a trip to their local driving range. Luckily, with the advent of home range systems or practice nets, any golfer can now practice their swing in the back yard. Much like indoor putting greens, these practice nets come in a range of configurations and a wide range of prices. With regular practice, a golfer can improve their game without leaving home and will have you to thank. See our guide on buying indoor practice nets. One of the most important aspects of any golf round is a trip to the 19th hole for some reflection and refreshments afterward. That does not mean that hydration is not critical out on the course though, especially on a hot day. If you have a relatively small budget for the gift, this ice-tea and lemonade is a perfect gift. It even carries the name of another legendary golfer, Arnold Palmer. Learn more about the origin of the Arnold Palmer above. If you go this route, be sure to throw a bag of sunflower seeds in too for snacking on the course. A relatively inexpensive swing trainer, the Orange Whip, makes use of a flexible shaft as well as a counterweight system to help golfers formulate as natural a swing as possible. It does this by helping to not only provide a golfer with a core muscle workout but contributes to improving the balance and rhythm of their golf swing. In fact, the PGA has voted the Orange Whip as one of the more efficient training aids available. It is also an excellent way for a golfer to warm up before hitting the course or driving range. If you are unsure what golfing gear, equipment or gadget to buy, why not consider some clothing like a jacket for instance? As most golf rounds take up to four hours, weather conditions can change over that period. Most golfers prefer to have a lightweight, weatherproof jacket as part of their gear, something that they can take off or put on relatively quickly and more importantly that does not take up too much storage space. A jacket like the one featured above is sure to come in handy when it gets windy or rainy out on the course. There you have a collection of the most popular, trending, and useful golf gifts available on the market today. Like we said, there is something for every golfer and every budget, from golf balls, books, and Arnold Palmers, to GPS golf watches, PGA golf lessons, and a home range net. You are sure to find something here the golfer in your life will love.